Protect your baby's soft delicate skin with Johnsons Baby Powder. Johnson's baby powder protects baby's skin from excess moisture and leave it soft and smooth. It’s a classic. It helps to eliminate friction while keeping skin cool and comfortable. 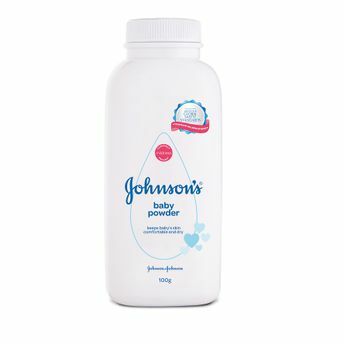 Unlike adult powders, Johnson's and Johnson's baby powder is safe and is made of millions of tiny round slippery plates that glide over each other to help reduce the irritation caused by friction and thus providing soothing comfort to your baby. With a clean, classic scent, this incredibly soft baby powder formula awakens and stimulates your baby’s senses making your baby feel fresh and letting your baby play happily with everyone. JOHNSON’S Baby talc products are made using U.S. Pharmacopeial (USP) grade talc to ensure it meets the highest-quality, purity and compliance standards. The talc is carefully selected, processed and tested to ensure that is asbestos free, as confirmed by regular testing conducted since the 1970s.